Don't know anything about the Zeeko, but I can tell you that the Rebel is definitely not your first choice for waves. It doesn't drift very well so any bigger sizes (9m +) in lighter winds would be a pain to ride in waves. I've had fun in waves with the Rebel but really only on the smaller sizes (7m in 20 knots +) as I could constantly move it (mainly looping it) which would mostly suit a fast, aggressive wave riding style. The Rebel is a good kite for Hydrofoil and it excels at going upwind and has a very big wind range and lots of depower. The only downside is I personally don't find the Rebel very efficient in very low winds (less than 12 knots) as it tends to stall very easily and doesn't go downwind very well (something you have do to a lot on a hydrofoil since you go upwind so much). 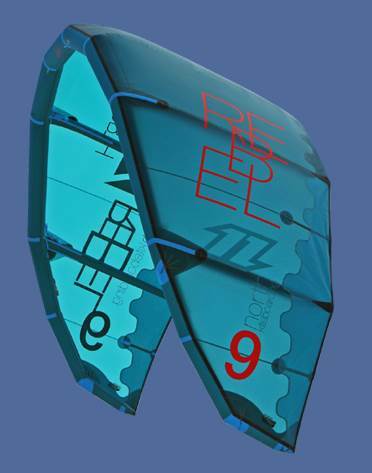 The Rebel is a great kite for boosting, hangtime, upwind riding, ''freeriding'' but not much else. Definitely agree with cbulota. I own and love Rebels and use in waves. Its a fun kite even in waves but does not drift. There are heaps better drifting kites. If interested in North try the dice it drifts a lot better. True but some efficiency for that foilboard was also needed. May I suggest in the North range (as you mentioned the rebel, but there are many other possibilities) you could move back along spectrum a touch more to an Evo (not as far back to the dice). It may just give that blend from what are almost opposites in kite needs...it has some drift ability (not like a proper wave kite of course in case livit points that out again), but may give a little more efficiency on the foil board. Or better get two kites, one at each end Of the spectrum. Neo/dyno or reo/edge For example....zeeko I knows nothing !! The Zeeko rev is the latest in the Notus line and best so far. It is an improvement In wave performance over previous Notus's plus actually gives nothing away in boost and more freestyle performance. Drifting if you want it is just a position shift of the steering point away. Although they drift quite adequately in center position. Nicolas (zeeko owner/designer/tester) was head designer for Takoon and even takoons today are some evolution of his work. The home beach for Zeeko is the same beach as for Takoon and Fone. And Zeekos are made to the highest quality in the Gaastra factory. 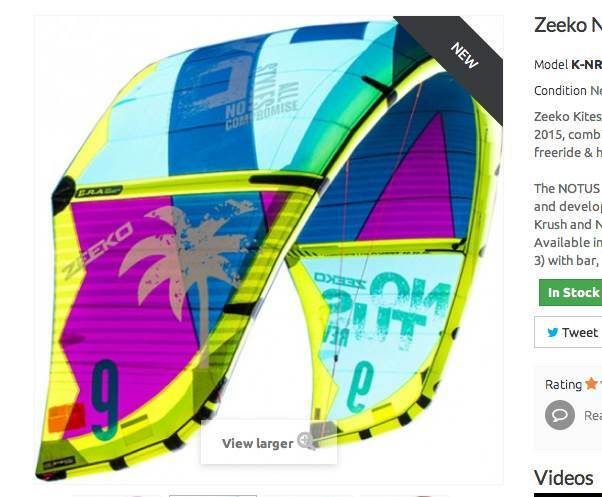 So the Zeeko has the performance you are looking for and the pedigree of quality. What it doesn't have is the price, due in part to their only marketing being the videosthey make themselves .